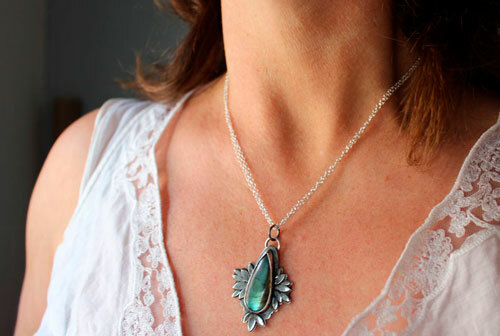 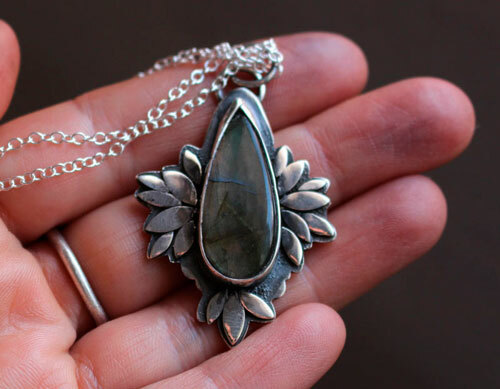 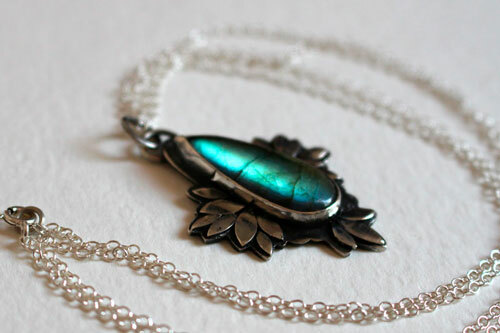 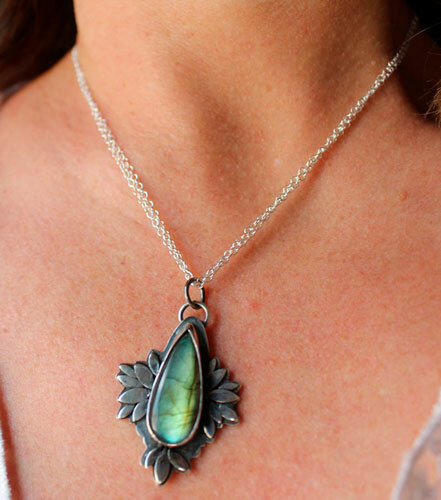 Boheme flower is a necklace featuring a magnificent labradorite with light blue hues. 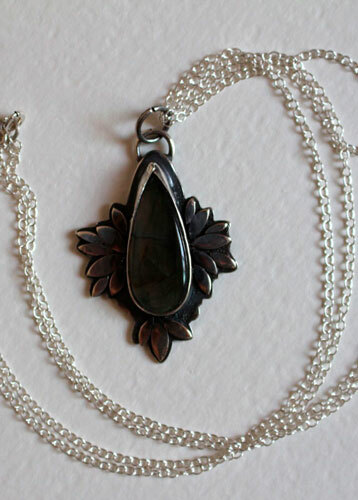 The teardrop stone was surrounded by a flower pattern. 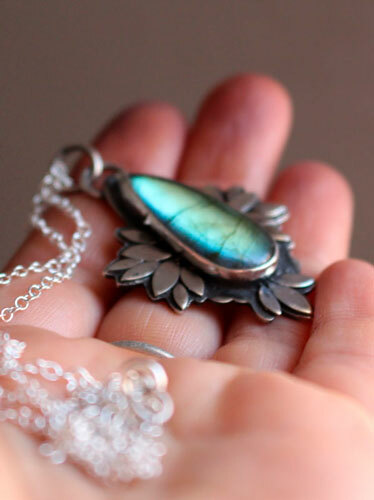 Each petal was patiently soldered in order to showcase this marvelous stone. 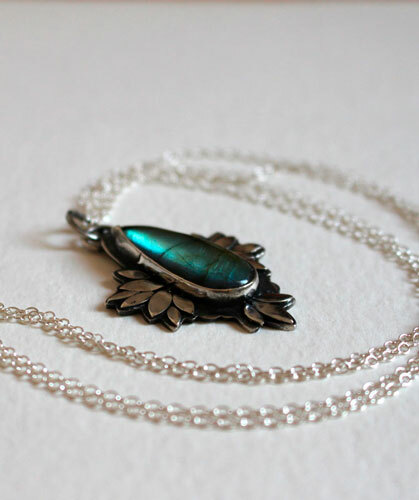 If you like flowers and the different hues of the blue color, you may have found the perfect necklace for you. 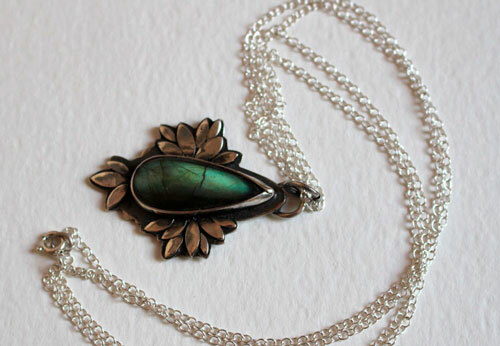 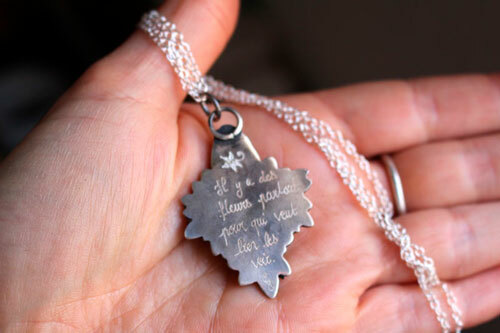 The necklace is 43.5 cm long. 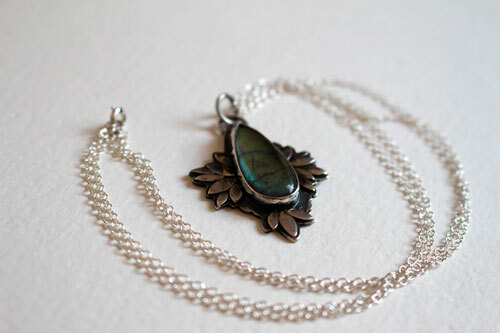 Tag: necklace, handmade jewelry, labradorite, Stone, blue, grey, black, long necklace, Stone, botanical, flower, petal, romantic, personalized gift, female, feminine, birthday, baptism, anniversary, birthday woman gift, botanical.